When the Jawaharlal Nehru University (JNU) Campus became the setting for a nationalism debate in the spring of 2016 after a group of students wanted to mark the anniversary of Afzal Guru’s hanging, there was one person watching things very, very carefully, from not too far away in west Delhi. 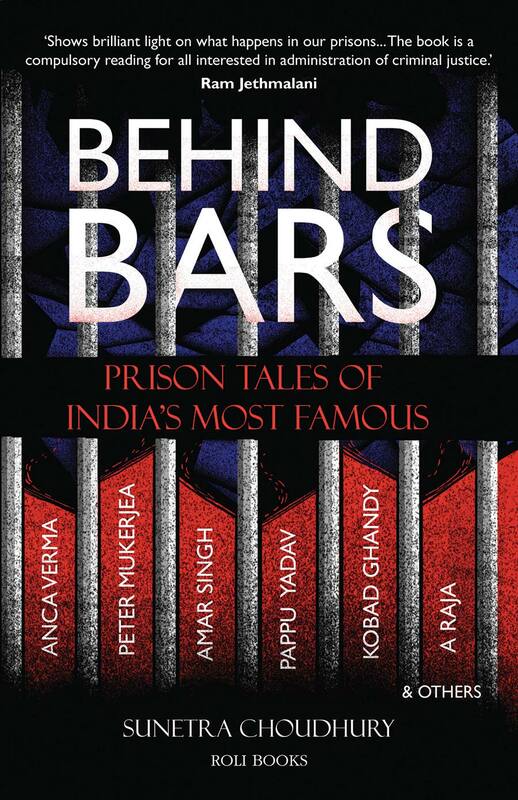 Sixty-nine-year-old Kobad Ghandy, who with his few thousand rupees allowance that every under-trial was allowed, managed to still subscribe to three newspapers in jail – the Times of India, the Indian Express and the Hindu. He scanned the papers every morning during that period for the fallout of what happened that February night in JNU. And what he read – about three students being sent to jail for organizing this event to commemorate Afzal Guru, about the central university being called anti-national, about pro-Pakistan slogans being made – disturbed him. And while so many across the country jumped in on the debate, no one cared for Kobad’s thoughts. 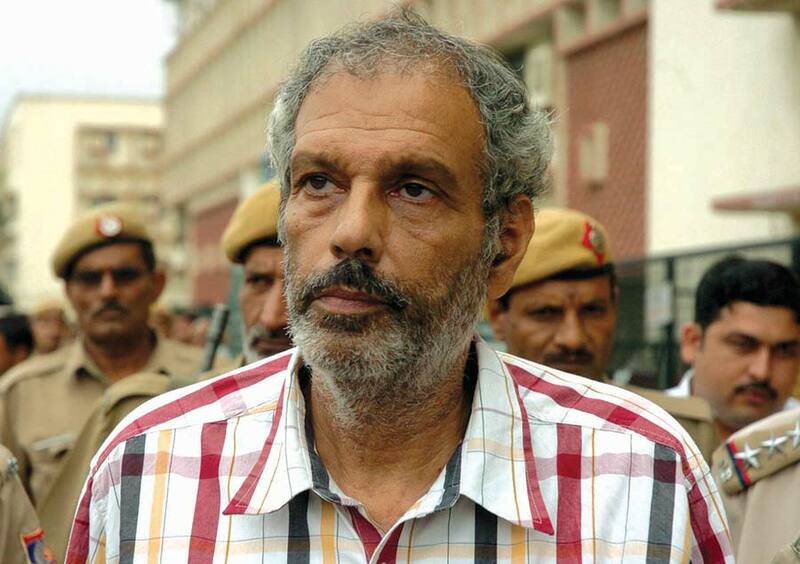 What they didn’t know was that Kobad Ghandy, the man accused of being a member of the banned organization, CPI (Maoist) and arrested in 2009, was perhaps the only one who knew Afzal Guru in his last three years and is also the only one who is waiting for justice at 70 can describe from inside jail how his hanging took place. ‘They all kept misrepresenting Afzal Guru,’ he told me inside the Cherlapally Jail in Hyderabad, in August 2016. ‘There was so much talk about Afzal being anti-national. He was not.’ Afzal Guru and he became thick friends from the moment he walked into prison till 9 February 2013 when he was hanged. It’s not based on any solid, scientific evidence. Became the inner enemy of ugliness. 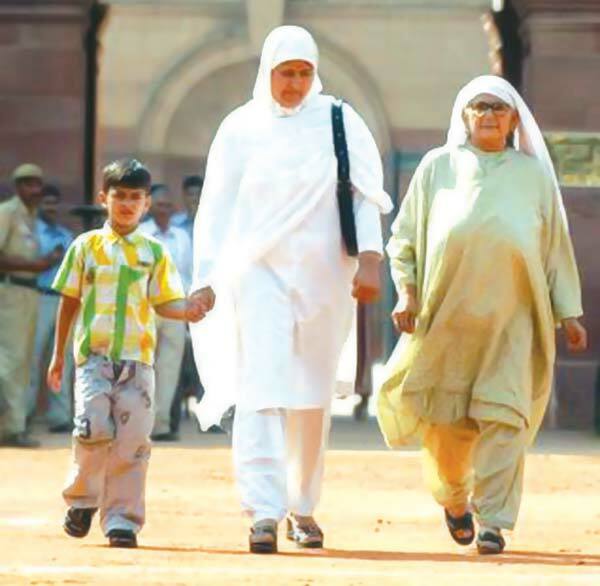 A file photo of Afzal Guru’s family in New Delhi. It’s extraordinary that the man who was hanged to ‘satisfy the collective conscience of the nation’ influenced his neighbour in jail to such an extent – he left a legacy not of violence, or of hate speech, but of poetry that is serene and beautiful. Even though they were surrounded by criminals, even though Afzal Guru was destined to die, and Kobad faced more than 14 cases of the deadly Unlawful Activities Prevention Act (UAPA) across the country, which meant at 69 there was no guarantee that he would ever live to be a free man, the two would sit in Tihar Jail and talk about mystical verses. Often Afzal would read and speak about Rumi and Iqbal, and Kobad would take notes. Of course, Kobad makes a distinction between Afzal and the other Islamists in jail, who he couldn’t have a proper conversation with. He clearly remembers how 9 February in the year 2013 unfolded. From the moment they took him out at 6 a.m., the other Kashmiris started shouting slogans against the hanging. They were all locked in their cells but the protests became so loud that the law officer had to come to calm them. ‘He explained that they were only following orders.’ The older man remembers how Afzal had no idea when he left his cell that he would never come back again – thinking it was a regular search; he apparently said: ‘Will come back after namaz.’ It was only when he realized that he was the only one being taken out of the cell, the real reason dawned upon him. ‘The jail staff was very impressed with Afzal, he was not at all nervous.’ This was also corroborated by the then Director General of Tihar, BK Gupta. He doesn’t like to publicize it much but says he was saddened at Afzal’s hanging. His force, however, wasn’t able to work out all the arrangements. For instance, they couldn’t manage to find a hangman and so it was one of the jail staff members who had to work the gallows. Law officer Sunil Gupta who was in charge of the execution recalled Afzal telling him: ‘I’m getting compassion waiting for from your eyes.’ When Gupta apologized for what he was about to do, Afzal apparently told him, ‘People call me a terrorist but I am an activist, fighting for the marginalized. My fight is against the system. I have no regrets’. There was one last request Afzal had for Gupta – that death should come swiftly. ‘I assured him there wouldn’t be any pain,’ Gupta said to me, later. As they pulled the lever that took away the ground he stood on and jerked him to death, Sunil Gupta remained in front of Afzal as he had requested him to. Afterwards, the prison authorities did everything they could to erase all traces of him. As Kobad said: ‘My milk jug which he had borrowed was in his cell, but they refused to give it back to me. There were some whose books were with him, they refused to return those too. We all wanted to get his diary which we knew he maintained, but nothing was allowed and they destroyed it all.’ Nothing remained except memories and a love for Rumi. He said he had been reading about me all over the newspapers and said we will meet in the morning. I was led to Cell 4 and kept with three others, including Delhi’s most famous Don, Kisan Pehlwan. The next morning, I was moved to Cell 8 with two Khalistanis. The death sentenced Khalistani, Bhullar, was in Cell 2. That morning I had tea with Afzal which was a practice I continued till the day he was hanged on 9 February 2013. It was Afzal’s standard practice to fill the thermos flask of Tihar’s watery tea and add to it milk powder and a few tea bags purchased from the canteen to give an excellent brew. For the next three years, each day we would have this, together with the two slices of bread supplied by the jail authorities. This was followed by a walk in the ground adjoining the ward. A regular practice through the years. This was the same ground that adjoined the Phansi Kothi where he was later hanged and buried. And through the years I found in Afzal a very humane person, warm-hearted and simple. A person who had a deep affection for his mother, his schoolteacher wife and only son. They would regularly visit him every Raksha Bandhan day when the lady family members were allowed into the jail to be with their relatives. His needs were very limited, living off the Rs 1000 a month his wife sent from her meagre earnings. Afzal Guru was exactly the opposite of what the media has portrayed him as – a fundamentalist fanatic. No doubt he was a staunch believer in Islam, and did his namaz five times a day, observed roza and other Islamic customs. He also had great faith in the other world – Jannat – which gave him his enormous courage to go to the gallows with his head held high and apparently without an iota of fear. Philosophically, Afzal believed in the Sufi tradition of Islam with its emphasis on humanity, love and equality. He was a great admirer of Rumi and Iqbal. He had all the six volumes of Rumi in Urdu which was his regular companion; many of the excellent verses he translated for me over our morning tea. Through Afzal I learnt much of the human essence of Islam, so vulgarized by the dogmatists and fundamentalists. Afzal was not only vehemently opposed to the methods of the fundamentalist of bombing/killing, the innocent public, he also had a deep dislike for the Pakistani/ISI. He would often say they were worse than the R&AW and were responsible for the killings/assassinations of large number of intellectuals who were for Azaadi and not for merger with Pakistan. Particularly during the JKLF upsurge in the 1990s, which was then not pro-Pak. Afzal said large numbers were killed by ISI besides the Indian government. He also gave me a concrete picture where virtually every aspect of Kashmiri life was controlled by the army making the entire valley like an open prison. He would regularly compare the life of Kashmiris to that of the Palestinians. He was of the opinion that the Pakistanis were doing more harm to the Kashmiri’s struggle than assisting it – Kashmiri people were being used as a mere tool in Pakistan’s conflict with India, the sacrificial lamb of the India-Pak conflict. Afzal had also great respect for communism (unlike the fundamentalists) and even repeated Iqbal who had said: Communism + God = Islam. Afzal was very well read having a nearly equally good grasp over both Urdu and English. He had read people like Naom Chomsky and other progressives from the West. He loved ghazals. In jail, the prison authorities had no complaint against him, notwithstanding the humiliations he apparently faced during the earlier period of his confinement. Two days before Afzal’s hanging we were told to immediately move to the block at the back (and those in the B Block were temporarily moved out) as white washing had to be done. But when we went to the B Block the gate leading to the ground which over-looked the big compound that housed the Phansi Kothi was promptly closed so that we could not see what was going on outside. But we soon gathered hectic work was going on in the Phansi Kothi. All sorts of rumours were spread by the staff that a foreign delegation was visiting; may be Bhullar (who was by now shifted to the mental hospital) was to be hanged, etcetera etcetera. Afzal would say if anyone was to be hanged; it was not Bhullar but himself. That evening though the fear was there in everyone’s mind, Afzal seemed as cheerful as ever. The next morning the staff turned up half an hour late, at 6 am. 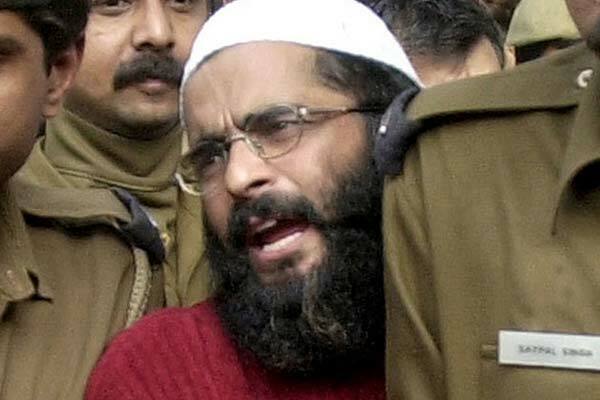 When they opened Afzal’s cell, Cell 1, he was heard saying that if there was to be any searching, do it later as they will first say their namaz. But after letting Afzal out, they locked his cell and did not open any other. It was then that he and we too realized what was to happen. He was led away to his original cell in A Block where the law officer met him. He was told that the hanging was to take place at 8:00 am. He requested to speak to his family and son on the phone, which was refused. That all other legal norms had already been flouted by the Congress government are already known. He did his namaz, was given tea and biscuits; he had a bath and said his final namaz. At 5 minutes to 8, he was led across the same ground we walked every day, wishing all the staff present, and asking the authorities to treat them well. We were told later much that the staff had tears in their eyes as he wished them all well and fearlessly walked to the gallows. The prison authorities, at the behest of the government, refused to hand over his belongings, dairy or even body to his family. He was buried two feet away from where the other Kashmiri leader, Maqbool Bhat, was buried. Ironically, Maqbool Bhat, too, seems to have been anti-Pakistan as well, as recently the books by him were banned by the Pakistani government. And with this ended my association with the most humane, honest, straightforward and simple person I met during my seven years of incarceration in Tihar. Most Kashmiris were not like Afzal, except one Rafique who had much of the same characteristics as Afzal. But none were as well-read as him. It is surprising why the Congress government sought to snuff out the life of the more rational voices in Kashmir, pushing the movement into the arms of the fundamentalists and pro-Pak elements. 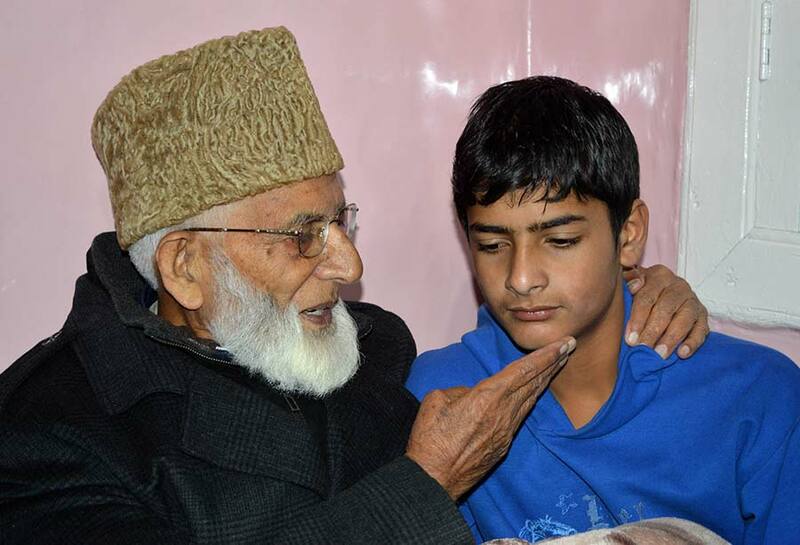 Syed Ali Geelani with Galib Guru, son of Afzal Guru. The Khalistanis with whom I was put was also a great education. I learnt that the movement no longer stood for its original ideal based around centre-state relations and the Anandpur Saheb resolution. They had turned the movement into a fundamentalist movement where the main target was now the Deras (mostly supported by the SCs and lower castes as they were denied a place in the Gurudwara) who they claimed were vulgarizing the Sikh religion. They have turned puritanical, oppose meat eating and are fanatic. Ironically, as I gathered, all their leaders were in Pakistan. Many, like one of my cellmates, were involved in smuggling drugs and arms from Pakistan. They idolise Bhindranwale and ignore Bhagat Singh. But the two recounted many stories of Sikh bravery in their history much of which was not known to me. I felt sad that such a heroic history of a community had degenerated into such sectarian fanaticism. It was these two who in fact brought out the secular character of the Gurudwara and the excellent tradition of all in the Gurudwara, big or small, during manual labour (Kar Sewa). Guru Nanak’s great social reform, anti-caste traditions seem to be in strong reversal from what I learnt from the Khalistanis. Next Article Agenda of Antagonism?